When people typically think of cookies, usually the first thing to come to mind are things like chocolate chip or peanut butter cookies. While those are delicious in their own right, carrot cake cookies are not usually the first thing that comes up. We’ll show you how you can increase your vegetable intake by incorporating them into yummy desserts such as this one. 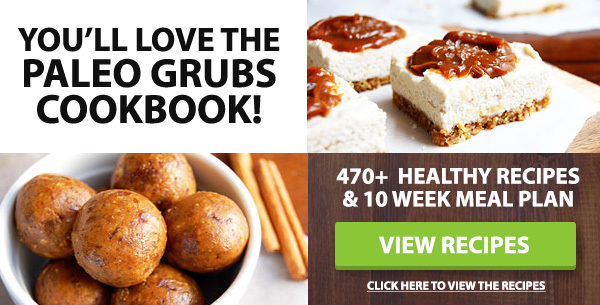 Are Delicious Cookies the Secret to Sticking to Your Paleo Diet? So why exactly would anyone want to make cookies based on carrot cakes? Well, for one, and most importantly, carrot cake is absolutely delicious. Secondly, when you use all natural ingredients, it’s also incredibly good for you, so you don’t feel overly restricted or deprived. To better adhere to a certain lifestyle or diet, the key is sustainability. If you’re being forced to eat food that you don’t enjoy, chances are, you won’t really stick to that diet for long. 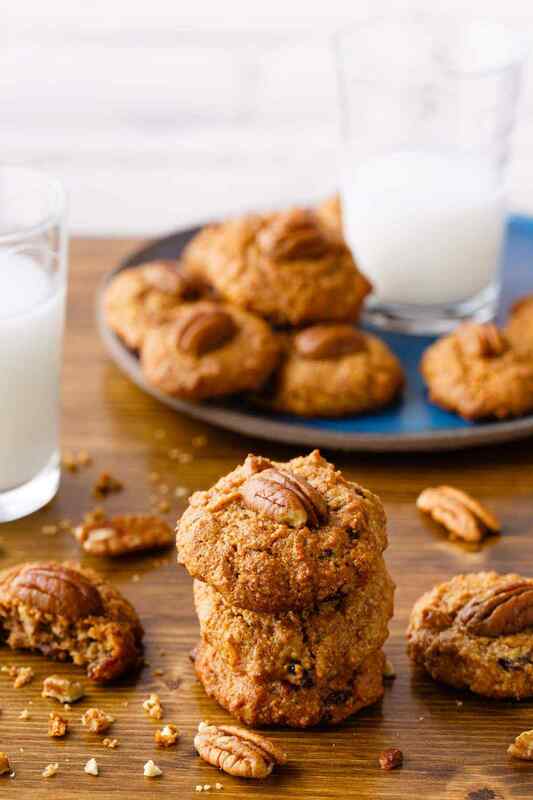 Incorporating tasty treats such as these carrot cake cookies not only helps with adherence to your paleo diet, it’s also good for you, so you’re not setting yourself back by any means. Carrots are high in vitamins and minerals, but they also possess the antioxidant beta carotene. Increasing your carrot intake has been shown to have a positive effect on cholesterol levels. (1) There aren’t many cookies out there that can have such positive effects on your overall health, that’s for sure, so that should be reason enough to try this recipe. Bonus points: it doesn’t take long to prepare at all. It’s no secret that some people just aren’t big fans of eating boatloads of vegetables and that’s perfectly okay. However, for health purposes, especially when it comes to eating adequate fiber daily, fruits and vegetables are one of the best sources of dietary fiber. That said, there are ways to make eating healthy more enjoyable. Take for example, zucchini. We have all sorts of recipes that make eating zucchini more enjoyable. You can make noodles (zoodles! ), muffins, tortillas, and even bread. Applying that same amount of creativity to carrots, you have everything from cookies to soups, cakes and muffins. Carrot cake cookies are a quick, easy, and delicious snack to bake that the whole family can enjoy. Most people scoff at the idea of carrot cake cookies until they try out this recipe, and then suddenly they’re all for it. For some added crunch and a boost in healthy fats, top your carrot cake cookies with some pecans or a drizzle of this cinnamon glaze. PS, Since I’m such a huge fan of carrot cake, and carrots in general, I wanted to share a few more of my favorite recipes that make use of them. First up is this delicious orange carrot soup. It’s perfect to make as we begin to move into the colder months of the year. There’s also this great wholesome carrot muffin recipe, which makes for a healthy breakfast option that can be made in advance for busy people on the go. And of course, we also have a naked carrot cake recipe which is really just a basic recipe that you can play around with in case you want to experiment in the kitchen. Happy baking! Previous articleMedical News Today: What are speech disorders? Medical News Today: What causes post-cesarean wound infections?